Our mission is simple…to restore health and improve the quality of life – and access to care – for patients with wounds. To be the premier wound management company delivering clinical excellence with superior outcomes while creating value for our partners across the care continuum. Dedicated to healing wounds, saving limbs and optimizing patient outcomes, RestorixHealth provides custom, turnkey solutions for establishing advanced wound healing programs that can improve population health, offer a competitive advantage and increase market share. We are proud of our long history of exceptional performance that has resulted in measurable improvement in patients’ lives and successful, long-term relationships with our partners. 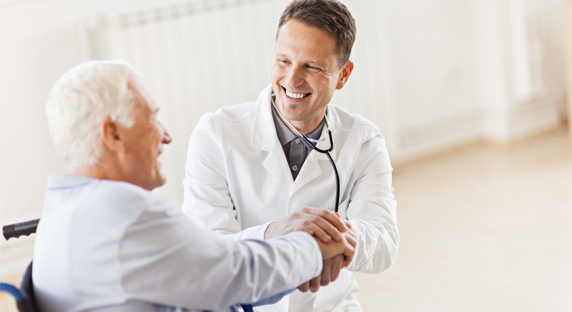 RestorixHealth was founded in 1997 by a group of physicians who believed in a collaborative, multidisciplinary approach to healing patients with chronic wounds. These physicians realized that the conventional approach to wound care was lacking and often resulted in fragmented care. As a result, the physicians were inspired to develop a comprehensive wound healing center that provided the coordinated care and services needed to treat and support patients with non-healing wounds in one accessible and convenient location. By coordinating care across a spectrum of medical and surgical specialties, they proved they could improve healing times, reduce complications and decrease amputation rates. This innovative concept has resulted in today’s RestorixHealth – the leader in the development and management of comprehensive wound healing and Amputation Prevention Center® facilities. Through RestorixHealth’s expertise in managing an integrated approach to wound care at a single site, patients receive unparalleled clinical care, physicians have access to advanced protocols and technologies and hospitals have a turnkey solution for an underserved, yet growing population. Headquartered in White Plains, New York, RestorixHealth manages comprehensive wound and amputation prevention centers throughout the United States in partnership with hospitals, health care facilities and health systems.